Here at The Michael Lublin Agency, we’re committed to providing you the best insurance-buying experience possible. With our extensive selection of policies and providers to choose from as well as unparalleled service after the sale, we make it easy to get the coverage you need at the price you want. Our team is led by Michael Lublin, the first agent to open a Brightway office, and includes bilingual agents to better serve the growing Hispanic community in Central Florida. With two fluent Spanish-speaking agents in our office, we are able to provide excellent customer service to the growing Hispanic Community in Central Florida. Michael is proud to say he opened the first Brightway office in the system in 2004. A native Floridian, he was raised in Jacksonville and currently resides in Orlando. Michael graduated from Florida State University in 1992, where he earned a Bachelor's degree in Political Science and History. He currently is an active member, as well as a sponsor to the National Association of Hispanic Real Estate Professionals-NAHREP, local Central Florida Chapter. He has served on the Hispanic Chamber of Commerce of Metro Orlando (HCCMO) as Vice President for the Dr. Phillips Leads Group. In addition he served on the board of the Young Fathers of Central Florida Organization. 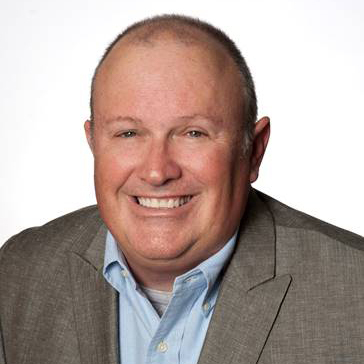 Michael is heavily involved in the Central Florida community and various organizations. Thanks to his exceptionally loyal clientele, personal referrals, and repeat business from our local business partners it has form the foundation to his career. A New York City native, Aida has been a resident of Orlando for more than 13 years. In both her personal and professional life, she is passionate about helping others excel in developing insightful beneficial relationships. Aida has been committed in establishing relationships by serving on several boards. She served on the National Association of Hispanic Real Estate Professionals-NAHREP, Central Florida Chapter-as a Advisory Board Member (2017). Board of Directors- as Events Director (2018). 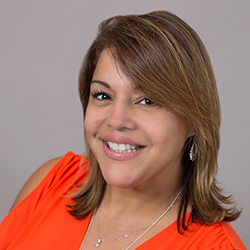 Her contributions to the Hispanic Chamber of Metro Orlando (HCCMO), has been past President, Vice President, & Secretary for the HCCMO's East Orlando Leads Group. Aida was among the 20 Business Professional Women selected throughout the United States to participate in a Mentorship Program by Patty Arvielo-President & Co-Founder of New American Funding. Aida's motto is "You have two hands. One to help yourself, the second to help others."